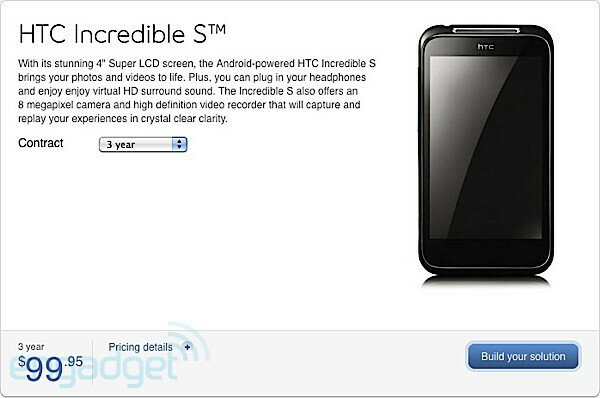 Bell customers north of the border are getting the prime opportunity of being the first in all of North America to pick up the incredibly sweet HTC Incredible S.
You heard that right, you’re going to be need to check out Bell to experience seeing the auto-rotating capacitive buttons of the HTC Incredible S – and not to mention all the high-end specs coming along with it as well. However, you’ll need to shell out $100 to pick one up with a lengthy 3-year contract, but if you prefer the no-contract route, you’ll need to dish out $500 to get it sans contract. Although some people are waiting out until word comes around about Verizon’s variant, Bell will be the only one in North America to offer the Android 2.2 Froyo powered smartphone. Well, at least Gingerbread is well on its way to the handset in the near future – so it’s a win-win situation either way for anyone who buys it. three year contract!? are these guys mad. i was angry when most contracts in the uk went from `12 months to 18 month. I could never keep the same phone three years! Ridiculous. Do many sign up for a three year contract?! And in the States, we would be all over 18 month contracts. Three years is in-freaking-sane. Their phones are very much popular throughout the world. They have always reached up to the mark of expectations of every body. 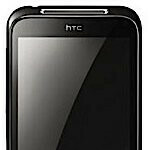 Their upcoming phone HTC Desire HD is also attracting the attention of every body. The phone is due for release and rumor is that the mobile will get released in the last quarter of this year. Networking companies are all set to launch the phone through various deals.